With Bump happening in Limerick this weekend, there’s an absolute host of stuff for you to go see but one gig that most definitely should not be missed is Reeko, KR!S and Giles Armstrong in Dolans on the Saturday night. The three of them will undoubtedly deliver a techno assault of titanic proportions with Irish techno stalwart Giles Armstrong kicking proceedings off. With years of experience on the scene, from running his own Electric City night to playing to packed crowds both at home and abroad, he’s been there and done it all. 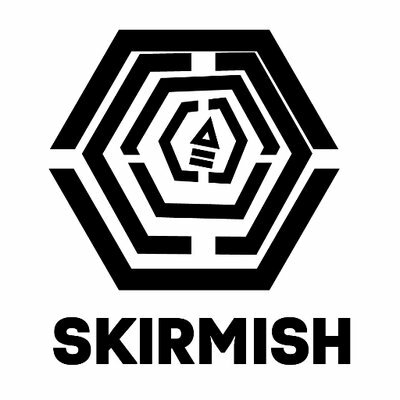 Skirmish caught up with the DJ to chat about days gone by, days to come and what he has on store for Bump 2012. A friend of mine called Joe Ryan used to do a late night techno show on Power FM and he asked me to do a guest spot one week. I enjoyed it so much I soon became a regular guest on his show before branching out to do my own show, the Punish Techno show which I hosted weekly from 1995 to 2002. I was quiet happy and content to only play on my radioshow which featured a different guest mix each week and had no great desire to play outside of that environment until I got offered a slot at one of the early legendary Creation raves towards the end of the decade. Once that had given me a little taste for playing out, I wanted more! Soon my first proper club gig took place at D-Fuse [formerly Fusion] in the basement of McGraths on O’Connell Street, which was a breeding ground for new DJ’s around that time. What are you thoughts on the Irish electronic scene at the moment? It’s probably the healthiest it has been in a while and unlike the rest of Ireland it looks like it’s going to get better before it gets worse! Lakker, Sunil Sharpe, Slowburn, TR One and Fran Harnett are just some of the producers who have begun to get the international recognition that the truly deserve and long may it continue. Lunar Disko and All City are already well established labels the world over. While I can see a new generation of producers like P-Hocto, Conan O’Donnell, Shane Linehan and labels such as Earwiggle and Apartment Records waiting in the wings. On the club side of things there seems to be more new nights [and days!] popping up now than during the boom times or maybe I was just oblivant to them back then. One thing the scene does lack at present is an active after hour promoter. It’s been too long since the last big warehouse or outdoor rave. What changes have you seen throughout the years? Many but I suppose the biggest change is the demise of the so called superclub and the extortionary admission fee’s that went with them. Not so long ago there would be anything up to 3 twenty euro + gigs on each weekend in Dublin but nowadays they don’t come around as often, as the market is not there for them anymore and that can only be a good thing. How do you normally go about putting a set together? Who’s the best DJ you’ve ever seen? Ouch! Tough question so I hope you don’t mind that I mix it up a bit. Locally Sunil Sharpe is the best Irish DJ I’ve come accross. When I first saw him play back in the late nineties I knew straight away that I was witnessing someone as cheesy as it sounds that was born to DJ. Just like Ronnie O’Sullivan makes it look so easy to play snooker, Sunil is one of those rare talents that make’s DJing look and sound effortless. Honourable mentions must go to Aiden Kelly who first got me into Dance music and Billy Scurry who was a major influence on me [and most Dublin DJ’s] in the years that followed. What’s the biggest thing that you’ve learned through running Electric City? Never work with children, animals or Simon Conway. Ha ha…only kidding! I suppose the whole process was one big learning curve. Neither of us had any experience or qualifications in putting on events before we started. We simply made it up as we went along, yes there were times when we learnt the hard way but there were also moments when it made us feel like we were on top of Liberty Hall. We had been influenced by clubs like The Temple of Sound, D1 and U:Mack but we never seeked advice from these promoters out of fear and respect. Anyway, we were always going to try and do it our own way. That was our buzz. Where do you see techno in ten years ? Still trying to evolve by borrowing from it’s the past. Whether or not I will be still out there DJing with it is an entirely different question. Finally, what can we expect from your set at Bump this year? Big Up To Giles Armstrong for the interview!! Bump 2012 happens this weekend in Limerick City!! on Giles Armstrong | Interview. Good interview. Nice to hear how Giles puts his sets together and his views on the “scene”.